This daltile glass maracas desert mirage blend glass mesh-mounted mosaic tile features a smooth, semi-gloss finish highlighting a mix of colors and shades to enhance any setting. The mosaic comes as a sheet for ease of installation and can be installed in most areas of the home as well as outside due to the impervious nature of the tile. As the tile absorbs little water, it is also resistant to frost and suitable for use in exterior applications exposed to freeze-thaw conditions. 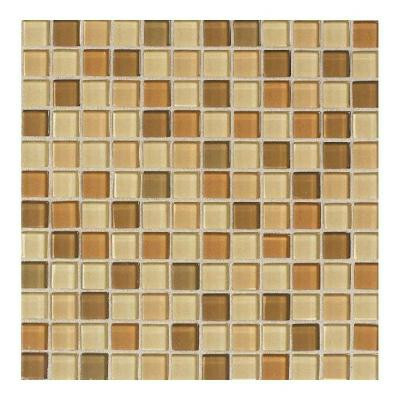 The mosaic can be a great way to add flair to other tiled layouts with its blend of colors. You can buy this product in our internet market. We will be glad if you make the right choice.